Courtesy of Dior; PICTURED: Christian Dior with model Lucie Daouphars (aka Lucky), circa 1955. Could February 2019 hurry up already? The news has arrived that the Victoria and Albert Museum is set to host a phenomenal Dior exhibition. Everyone we know in fashion is now wishing their lives away, waiting for the Parisian fashion house’s storied tale to be told. From the waist-nipping dresses and skirt suits of master-couturier Christian Dior’s New Look to the ultra-chic and feminist ballgowns of the current creative director, Maria Grazia Chiuri, this will be the most comprehensive presentation the House of Dior has ever created. It’s also set to be the biggest fashion exhibition the V&A has crafted since the ever-famous Alexander McQueen: Savage Beauty exhibition in 2015. Courtesy of Dior; PICTURED: Écarlate afternoon dress, A/W 55 Christian Dior Haute Couture. 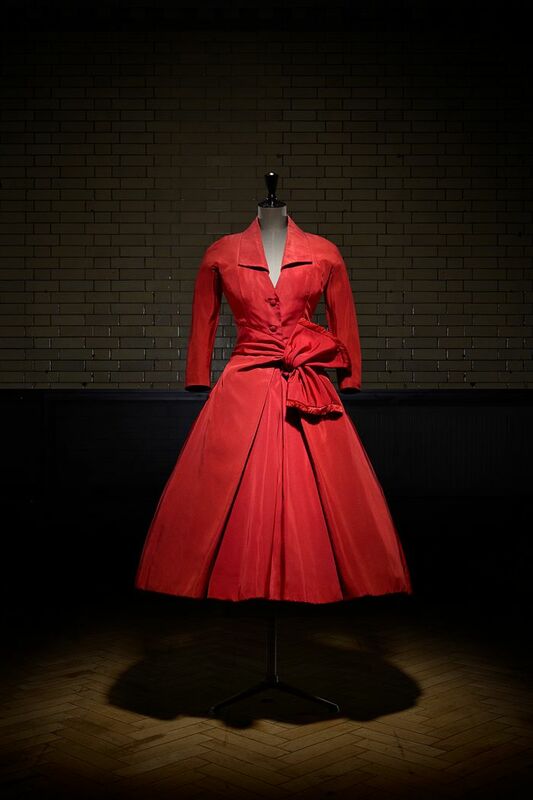 Based on the major exhibition, Christian Dior: Couturier du Rêve, organised by the Musée des Arts Décoratifs in Paris (which, as you may recall, was endlessly enthused over by fashion fans visiting the City of Lights to see it), the UK version will feature some amendments to suit the British audience. We don’t doubt that it will be as much of a visual feast as the Parisian version. So many visitors just had to share on social media, and we expect the same impact when it hits the UK next year. Courtesy of Dior; PICTURED: Sketch by Christian Dior for the brand’s S/S 47 Haute Couture collection. Whilst Dior’s home will always be in Paris, there is much to be said about Christian’s love of England. In fact, the designer first established his eponymous brand on these shores with a debut UK fashion show at London’s Savoy Hotel in 1952. The revised exhibition will showcase this affaire d’amour with an entirely new section—including the great designer’s interest in stately British homes and gardens. It will showcase his fascination with our country’s awe-inspiring ocean liners (apparently he was a fan of the Queen Mary… who knew?) and his admiration of Savile Row tailoring. The exhibit will also feature one key look we’re particularly excited to see: Princess Margaret’s 21st birthday party dress. Courtesy of Dior; PICTURED: Princess Margaret (left), with the Duchess of Marlborough, presents Christian Dior with a scroll entitling him to Honorary Life Membership of the British Red Cross. Courtesy of Dior; PICTURED: Christian Dior with model Sylvie, circa 1948. As such, you will also see fantastic creations from the brand’s former designers—including Yves Saint Laurent, Raf Simons, John Galliano and others that you may have not even discovered in the back catalogue of this ever-evolving fashion house. Courtesy of Dior; PICTURED: The Jardin Fleuri bustier dress from Dior Haute Couture’s S/S 17 collection, designed by Maria Grazia Chiuri. 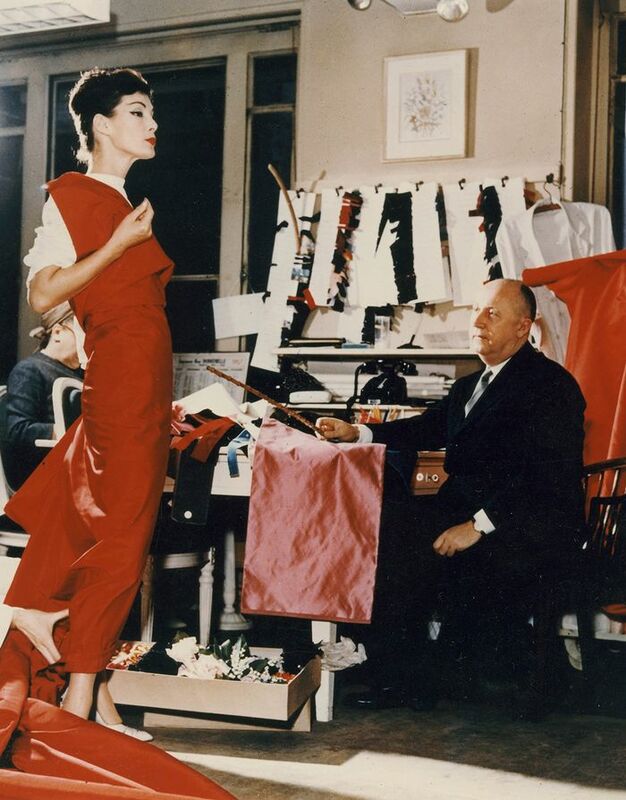 Tickets for Christian Dior: Designer of Dreams will go on sale this autumn, so start diarising. We will, of course, keep you posted on the latest info right here. Be sure to check back soon.